I like this book but it could be better. 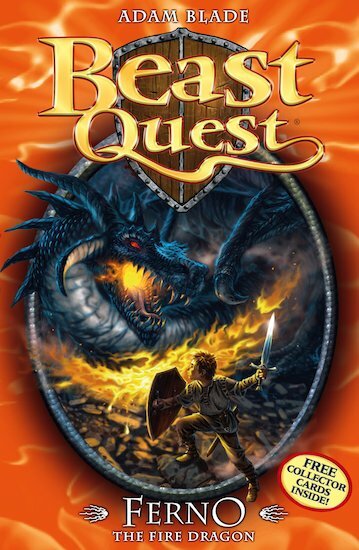 I am going to read the next beast quest book. I loved the book and I thought it was a great way to start the series. This book is very action packed book. It is amazing! It was very exciting and when I read it I wanted to read the other ones. it is a very awesome book so far.This my first time reading this.I thought the whole series was going to be boring,but it turns out to be amazing and adventures. 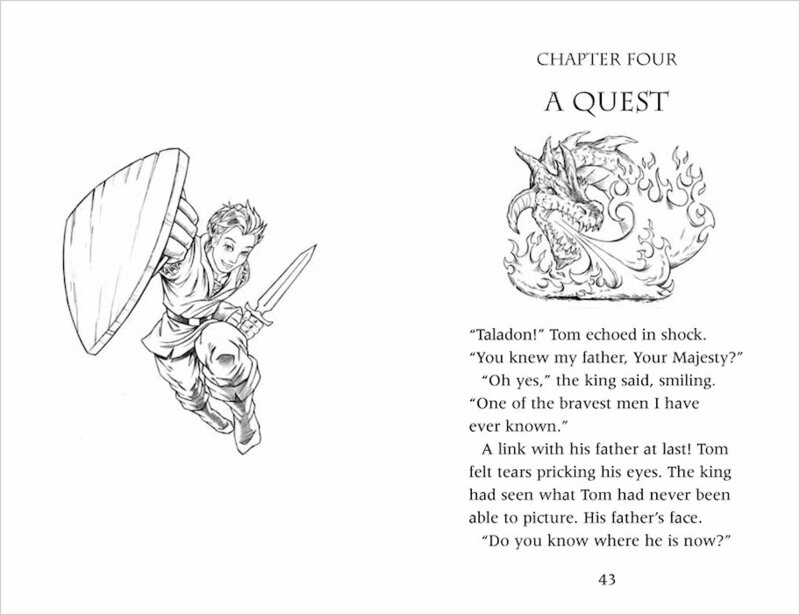 Excellent start to the Beast Quest adventures,LOVED IT!!!!!!!! i am injoing this book,it is the best book i have ever readed. I thought this was a really good book. 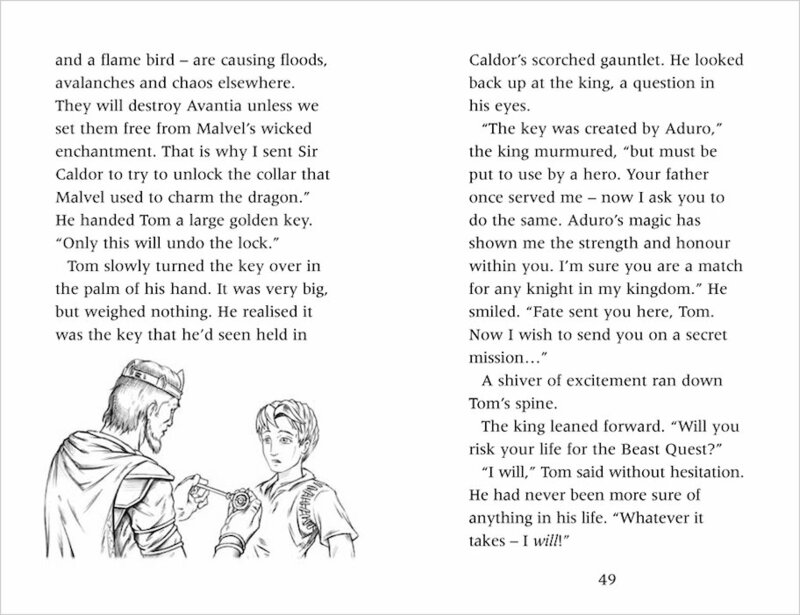 especially when Tom finally put the key into the enchanted collar.After it glowed a brilliant glow it faded away thus Tom knew that he had freed Ferno from Malvels evil spell! This is a brilliant book, i liked the way Adam Blade put wizards, heroes, beasts and more terrifieng but amazing creatures! I had the pictures in my head. I liked it when Tom & Elenna helped fight Ferno. 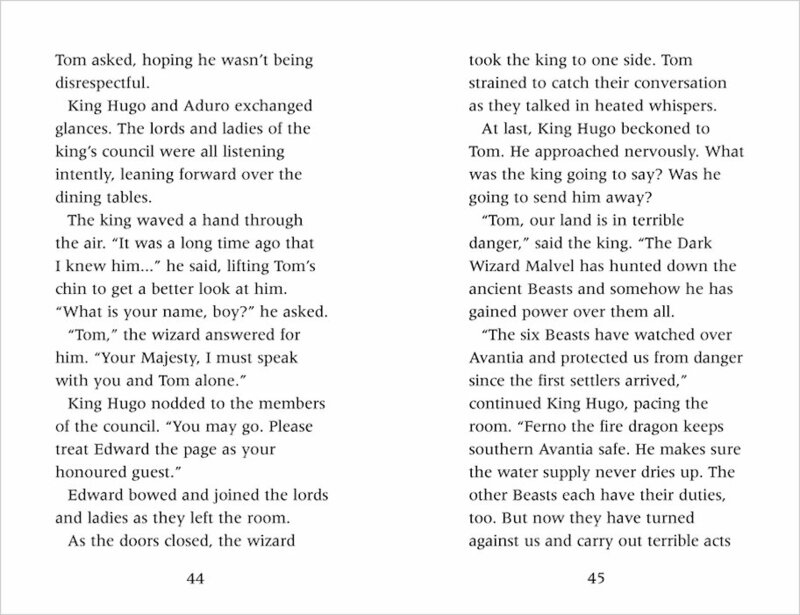 Read the book after reading random beast quest ones,yet still just as good if not better. Well worth the money. 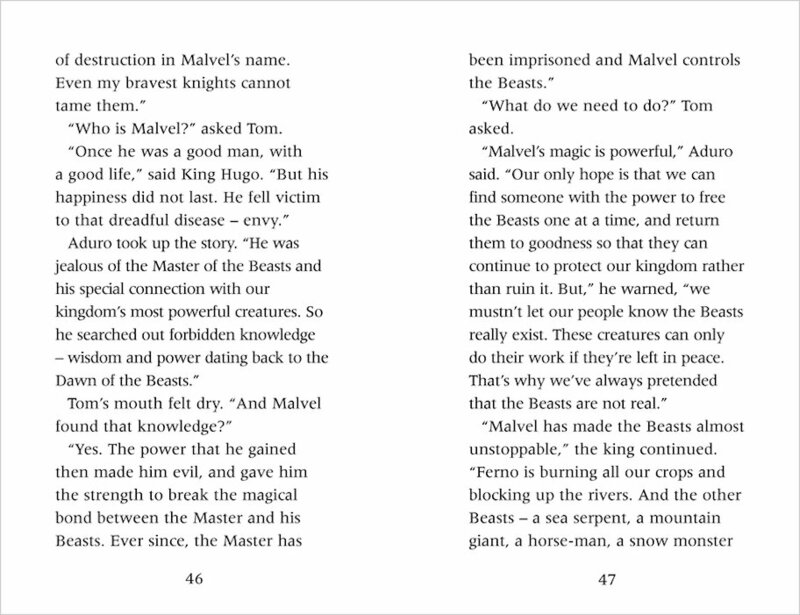 Is this the first book from the series of beast quest? Alright King Hugo Chose Tom to go on a Beast Quest. On the way Tom sees a wolf belongs to a girl called Elenna joins Tom on his beast quest Tom gets a stallion called Storm. This book is also fantastic! The book was gripping It starts at the start of Tom’s adventure. Iliked how the Author, Adam Blade, Described the surroundings, Charactors and Beasts. Its the best book in the world! Great action! This is a really good book especially when Tom makes a new friend!